I am very thankful for your services, not only for delivering everything that you promised but also for going beyond to make my trip pleasurable. I never felt rushed and I could enjoy every moment. I always felt safe. I definitely recommend you and will be back. 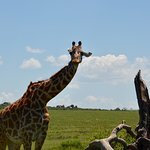 It was a great one day trip with Julius in Nairobi National Park,Giraffe center and other touristic places in Nairobi. 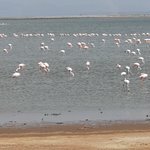 We had chance to see a lot of wild animals in their natural habitat.Julius gave us information about them and made our trip so comfortable.This company also make trips to Masaai Mara and other National parks in Kenya and we wish that one day we can go there with them. Very good and professionally arranged by Julius who made sure we had a great day. Amazing Nairobi Nat Park visit with Guide Julius! If you want an amazing trip to the park, you must ride with Julius! He was incredibly responsive on Whats App to all of my questions & knew exactly how to maximize our visit to Nairobi National Park. 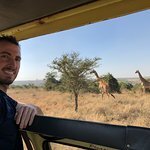 He was extremely professional & knowledgable, with an early pick up at our hotel and choice of East gate entrance helped us skip the ques of cars at the other gates and right away we saw rhinos, giraffes and lions. 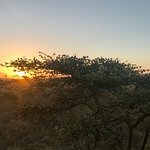 If you want an awesome morning game drive- to Nairobi Nat Park or the other parks in Kenya he tours to-with flexibility & ease, I highly recommend his services! Julius organised a three day safari tour for my Mum, my sister and myself to the Masai Mara. We started on the first day in the morning from Nairobi and arrived about 5 hours later at the Mara Sopa Lodge. I can absolutely recommend this beautiful accommodation. The location, the food and the service were great. Our driver Duncan who accompanied us for the entire trip was very friendly, very reliable and made sure that we could see as many animals as possible on our various game drives. 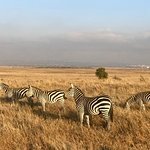 A safari in the Masai Mara is an absolute must and we were really impressed by the landscape and the wildlife. On our last day we visited the Masai village which is very close to the lodge. It’s a very touristy thing to do, but then again you get an idea of the Masai way of living. All in all I can totally recommend Julius and his team. I’m a resident in Kenya and I have already relied several times on Julius to find the best offers for all kind of activities in Kenya. Going on a tour with Julius himself is also super fun! This must be the most enjoyable Safari trip you could ever take. Just amazing, I'm not even finding words to describe first the approachability of the safari guide and his fluidity in answering all kind of questions you have about any animal. His hospitality should be rated 5*, if you're a first timer and you're not well informed about the wild this guy would dedicate every minute of his time to explain everything you need to know. 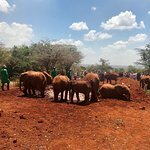 I would definitely recommend "Wasili Kenyan Safaris". Everything was perfect. 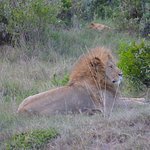 Many informations.we have be in the Nairobi national park early in the morning 6.30 entering the gate and have seen many animals. 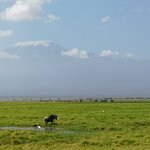 To the Amboseli park we left Nairobi at 5.00 for a one day trip . 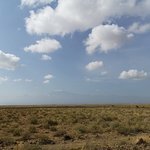 We saw less animals because it was later in the morning but have seen a magnificant landscape with the amboseli lake and lots of flami gos in front of the Kilimandscharo.